Now that the paddocks are roughly mapped out, I can start mapping the fencing. My plan is to have multiple rows of permanent fencing running north-south with an east-west gap of about 100 feet. Temporary fencing can be laid east-west and moved daily to create new paddocks. Therefore the paddock area can be adjusted if necessary by how far apart the temporary fences are spaced. 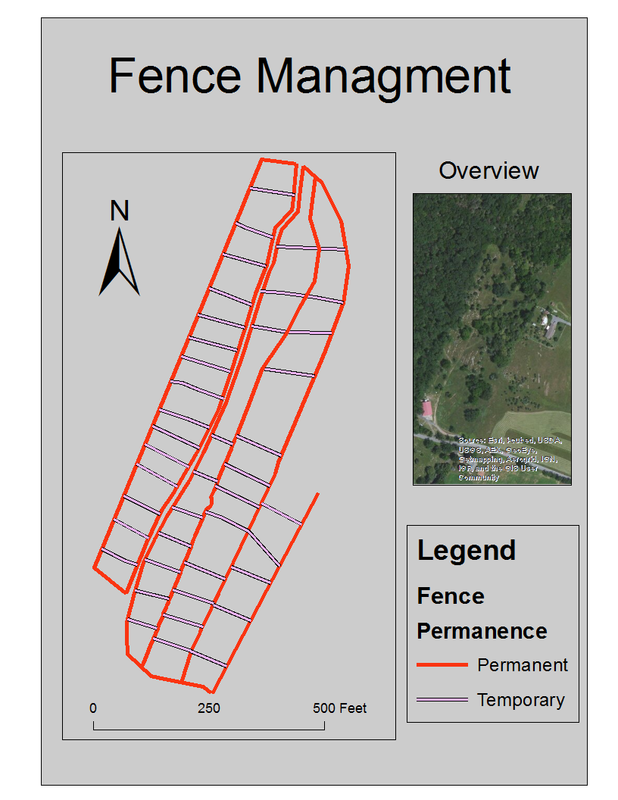 Using maps to optimize the fencing uses additional factors than just creating exact areas. 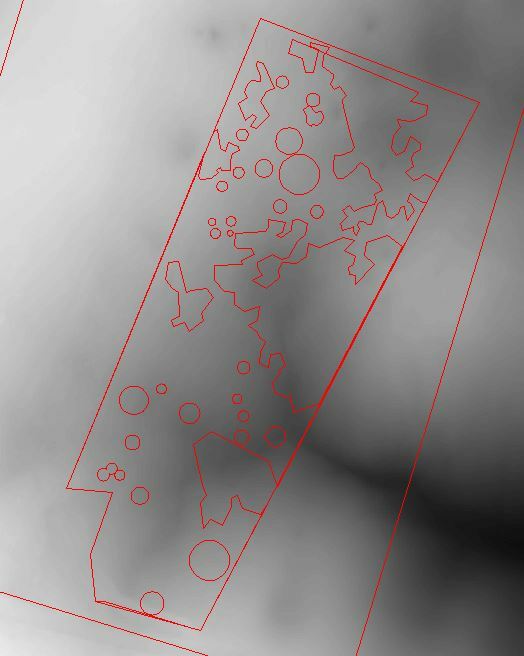 Using the parcels as a basis, elevation is also factored in as the most optimal fence will follow the contours as efficiently as possible. To achieve this I downloaded LiDAR data. LiDAR is collected from an aerial source that broadcasts a laser then senses and analyzes the reflected light. It is one of the most accurate technologies to collect elevation data but it is very expensive. Luckily free LiDAR data is available for my farm, but please consider making a donation to show your appreciation if you use free LiDAR data! Fencing can now be optimally mapped thanks to high resolution, LiDAR-based digital elevation model (DEM). Now I can do my best to plan the fences based on my paddock area needs as well as keeping the permanent segments as straight as possible and minimizing elevation change where possible. There will still need to be some manual cleanup to close some ends, accommodate developments in planning and work with the trees in the pasture. Here is the starting point for you to follow along!